Electrical Contracting Code of Conduct - Current Technologies Ltd. Excellence in meeting customer expectations. 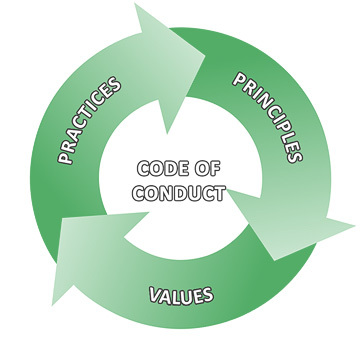 Ensure that ethical conduct is recognized, valued and exemplified by all employees. Comply with the rules and regulations of all government authorities to ensure good service, quality workmanship, and public safety. Complete all work in full compliance with the Ontario Electrical Safety Code. Respect and welcome fair competition, keeping the customer's best interests in the forefront. Recognize the value of education and strive for continuous improvement of best practices and procedures for employees and customers alike. Make a positive contribution to local community endeavors, and contribute as a good corporate citizen. Today's technologies offer you an unprecedented range of lighting choices to save energy. It's good for the environment and it's good for your business. Current Technologies can help you save up to 50% or more on your lighting retrofit and take advantage of Government incentives to pick up half the cost!